What is it about Hacksaw Ridge's Desmond Doss that inspired him to be faithful no matter what? How can we instil the same Christian values in our children? Last week I had the privilege of watching Hacksaw Ridge Mel Gibson’s latest blockbuster production – the true story of Desmond Doss. To me, Doss was a modern day Daniel, Esther or Joseph. What impressed me most was the faith, bravery, character and values of Doss who refused to carry a weapon and kept the Sabbath at all costs (and a vegetarian too). Despite pressure from his training unit he insisted on these ideals and became a hero both on and off the battlefield. He single-handedly lowered 75 injured men off the ridge under heavy enemy fire. From a family perspective how does one raise a child with the faith, character and values of Doss? Values like no compromise, standing up for and helping your mates, being a man of faith. A man who stands for the right and truth no matter what; a life of sacrifice and service; a man who never gives up in the face of the enemy; a man who provides relentless service to others no matter the cost. In the home of the Doss family, seven things stood out to me. 1. Discipleship begins early and begins at home. Desmond’s home is not perfect by any means, but his mother is faithful and intentional in shaping her son’s life. This shines through on and off the battlefield. His mother took him to church and taught him the importance of the Sabbath. The faithfulness of his mother had a profound effect on Doss. Despite a father who fought his inner deamons (and what would now be described as post traumatic stress), his mother’s faithfulness and values set Doss on a unwavering path of faithfulness and heroic destiny. 3. Identifying the teachable God moments. These happen daily and can be both good and bad. Seizing these moments and using them to teach values is key to shaping a faith that is unshakeable in our children. 4. The pictures on the wall. There was a picture on the wall with graphics portraying the Ten Commandments and The Lord’s Prayer. This picture had a profound effect on Doss and etched the Ten Commandments on to his character – in particular the fourth and sixth commandments. What pictures are on your walls and what values are they teaching your children? 5. The power of memorable life-changing events. Incidents both good and bad shape character. The fact that he almost killed his brother with a brick and then witnessing an incident with his father and a gun were two incidents that consolidated his resolve to never kill another person. It is important that we as parents talk with our children especially when such moments occur. 6. The power of God’s Word. Desmond has a Bible that goes with him everywhere, even on to the battlefield. Desmond reads this regularly and hides the words in his heart. We as parents need to let the scriptures speak into the lives of our children through reading, repetition, memorisation and telling the stories that change lives and shape values. Parenting is hard work when you raise a Doss. It is relentless, tiring and just plain hard work at times. Doss repeats the line, “just one more” as he goes out on to the battle field to save one more soldier again and again. We as parents need to have that same attitude as we seize the moments that occur daily to raise a child with the faith of Doss. Just one more moment, just one more prayer, just one more Bible text, just one more story, just one more teachable moment is what shapes a Desmond Doss. 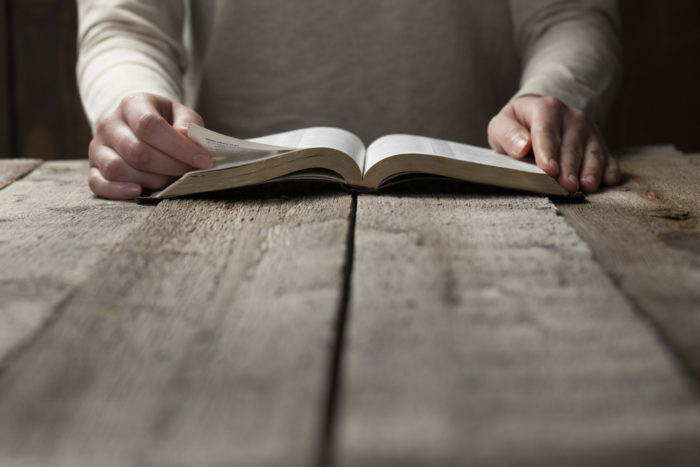 Deuteronomy 6:4-12 sums up Doss and his early life and later depicts him as a man of amazing faith and conscience who stood for God – no matter the cost. One thing I know: the world needs more people like Doss. What are some other ways we can raise children with unfaltering faith and love for Jesus? 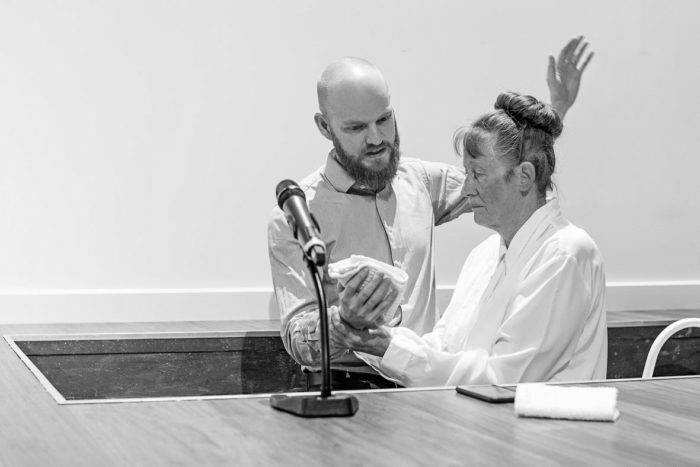 Daron has a passion for reaching families and children of all ages and works as Children and Family Ministries Director for the Seventh-day Adventist Church in North New South Wales. Daron speaks regularly at children and family ministries events and training seminars in Australia and around the world. Pr Daron is a mad balloon twister and often twists the gospel into all sorts of amazing creations as he preaches. 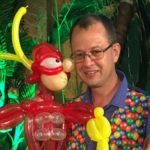 Pr Daron is seen regularly on satellite TV as the Balloon Man, on Arnie’s Shack television series seen right across the world. Daron is married to Lisa and has two children Andrew and Madison. In his spare time Daron loves gardening and breeds show poultry.